…He Himself gives to all people life and breath and all things. Immanuel is to be with us as the Indwelling Solution. 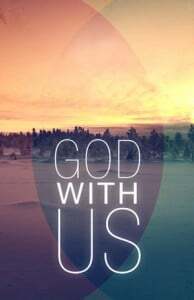 So WITH us that He can be our every thought and our very breath. IF…we welcome Him as WITHIN!